We treat every patient as we would like to be treated. Our medical practice is private, confidential, and respectful. Concierge medical services and home visits are available for some patients. We offer Outpatient Detoxification, Intensive Outpatient Treatment and Outpatient Treatment. Treatment may include Suboxone, Zubsolv or Subutex. We are Medical Doctors treating the Disease of Addiction. Our team has treated over 1200 addicted patients. 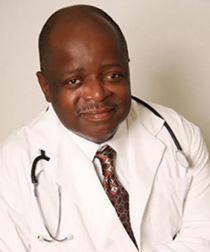 Carl Gittens MD blends traditional medical and psychological therapies with holistic and creative approaches to recovery. Our Practice offers on-site detox and a residential treatment program for substance abuse and co-occurring disorders that draws on everything from the standard 12-step education, group and individual therapy, Psychiatry, Exercise, IV Therapy, Accupuncture and even equine therapy. The Gittens Clinic 188851 NE 29th Ave. The Gittens Clinic 759 SW Federal Hwy.